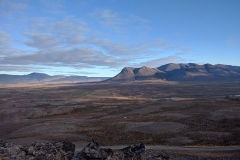 We look forward to traveling with you through Iceland’s landscape. We hope to offer a mix of outstanding natural beauty, sacred space, interesting museums and exhibits, classic tourist spots, relaxing indulgences, and adventure. We have thoroughly researched, visited, and vetted all sites, accommodations, and tours on this trip (except the whale tour). We are proud to offer the following itinerary to you. Please let us know if you have any questions about our itinerary. For our day in Reykjavik, we will be supplying you with a Reykjavik City Card. 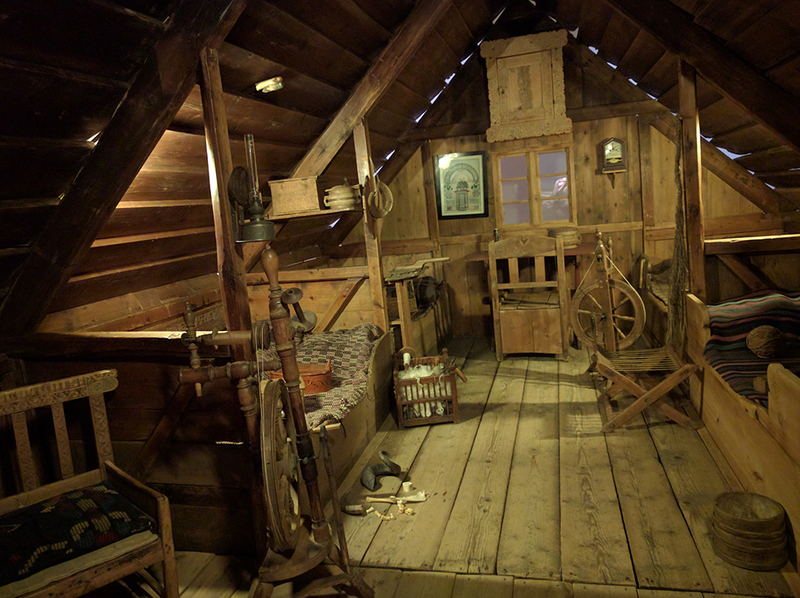 As a group, we will be visiting The Settlement Exhibition and the National Museum of Iceland. 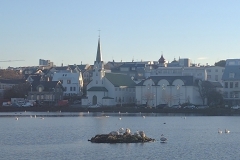 Guests are welcome to join us at those sites, or they can explore Reykjavik on their own. With the City Pass, you will have unlimited access to the Reykjavik Bus System, Reykjavik city pools and saunas, and over ten museums and other points of interest. Additionally, the card offers discounts at over 50 other sites, restaurants, tours, and attractions. Please be in contact if you would like to extend your city pass to cover time before our tour starts. 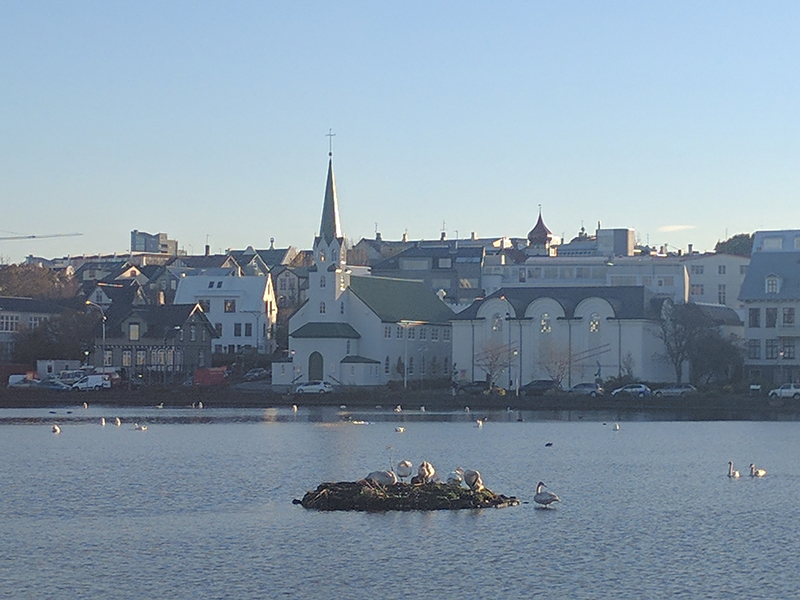 Most of Reykjavik is easily navigable on foot. Reykjavik also offers outstanding street art, public art installations, shopping, culture, and a bit of nature right in downtown. 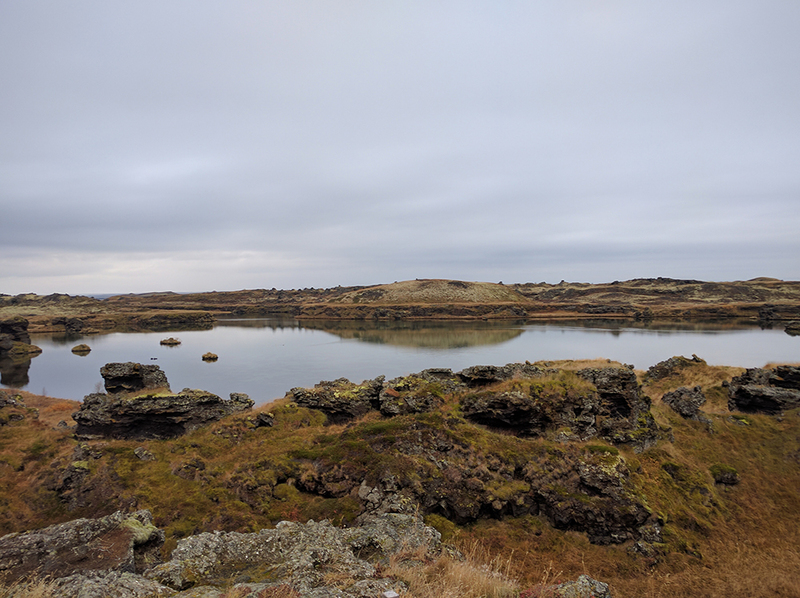 Our opening circle is held at Þingvellir National Park, A UNESCO World Heritage Site. Þingvellir is home to the first Althing, the Icelandic national parliament. 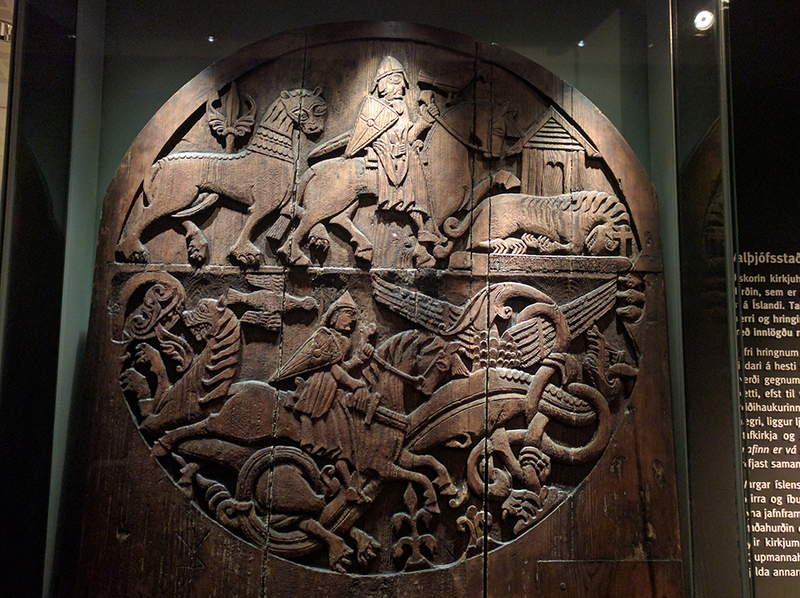 It held both cultural and religious significance as the centre of Iceland. Today, it is a beautiful national park, with plenty of room to wander, hike, visit our first waterfall, and explore the continental rift valley. The natural beauty of the park is quite breathtaking. There is a small centre onsite. 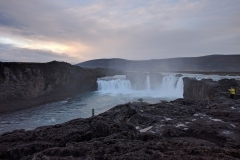 We continue to the other classic Golden Circle sites of Gullfoss Golden Falls and Geysir. We start at one of the most popular waterfalls in Iceland, Gullfoss. Gullfoss sits on the river Hvítá, and is comprised of two separate falls, with drops of 11 and 21 meters. Gullfoss is easily accessible, and you can get quite close to the falls in several different spots. 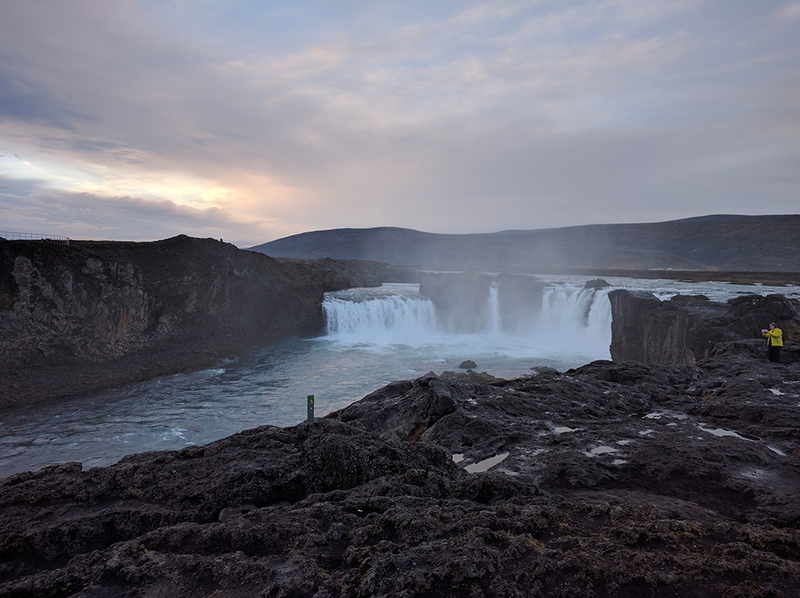 Inside the centre, you can read about the rich history, including the role that Gullfoss has played in Iceland’s political history, and how it inspired some of the first ecological awareness in Icelandic society. One of the greatest natural attractions of Iceland is The Great Geysir, or Stori-Geysir site. There are several large geysers, Strokkur and Geysir, that spout regularly on site. 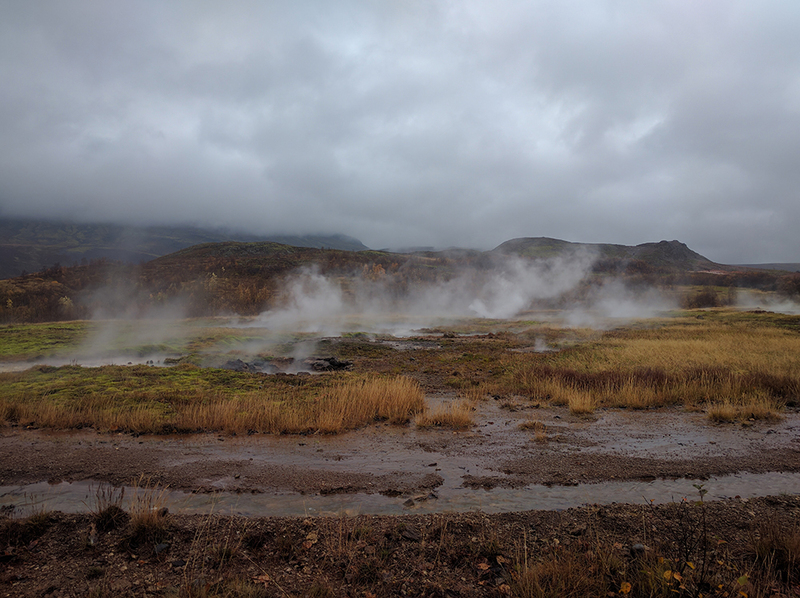 There are also many other geothermal features to explore, such as mud fields, less active geysers, hot springs, and a small hike. The hike affords gorgeous views over the surrounding landscape. 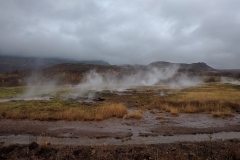 Geysir also boast a new Geysir Centre to learn more about the local sites, shop for gifts, and warm up. 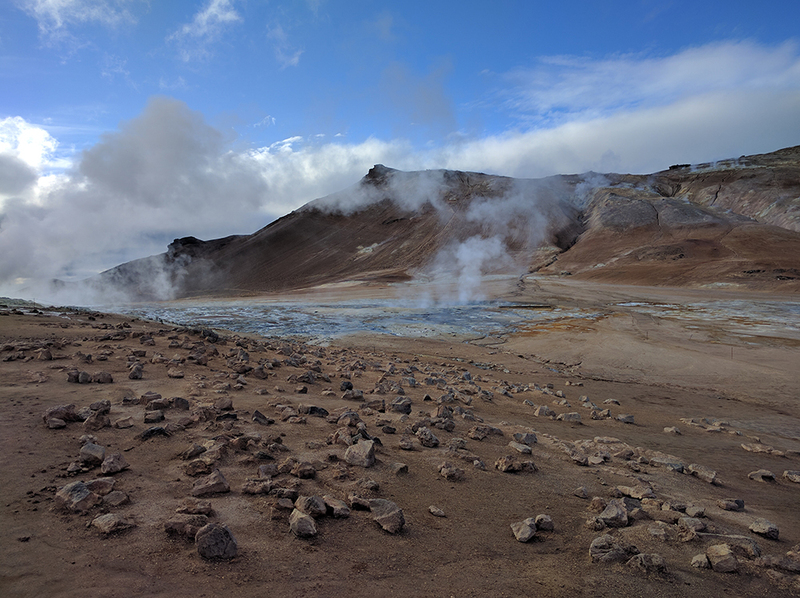 We will start our exploration of volcanoes and their role in Icelandic Myth and Legend with an easy hour-long hike (round trip) to Grábrók crater. 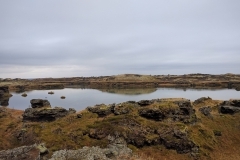 Located in Bifröst, Grábrók will also be our first chance to be in a less visited, quieter area of Iceland, and to see a unique landscape of fertile moss-covered lava rocks. We will be stopping for a short visit at the Seal Centre in Hvammstangi, offering us our first chance to spot seals, ravens, and whales among other local birds and sealife. 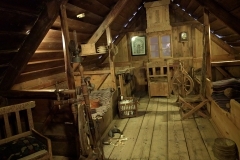 The Seal Centre houses a small but excellent exhibit on the seal’s role in Iceland’s economy, myth, and legend, as well as their current position as a scientific interest. The centre works in conjunction with scientists around the world to study seal behaviour, and many of those studies are available for reading in the centre. Kind hospitality and a nice cafe upstairs make this one of our favorite places in Iceland. 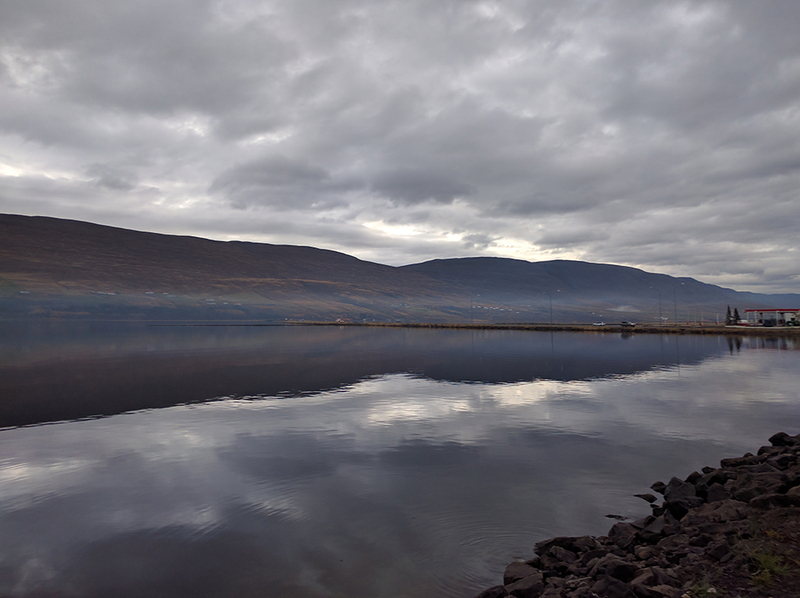 You will have an entire day to explore the town of Akureyri, with options to stay into the evening. 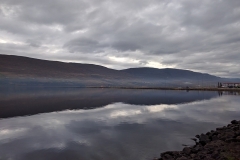 Akureyri is our most loved town in Iceland! 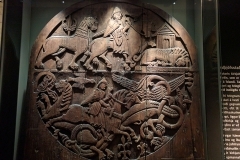 During your time, you may visit any of the many local museums, art galleries, stores, or bookshops. We will be having both lunch and dinner in town, so you may explore several of the best rated and reviewed restaurants in Iceland, offering up both traditional Icelandic food and other worldwide cuisines. You can take a self-guided tour of the local sculpture trail or take a private tour through Saga Tours. There is a well-cultivated public park with botanical gardens that showcases many species of Icelandic plants. We also highly recommend a visit to the outdoor heated swimming pool and sauna. Another option for this day is to take an award-winning horseback or buggy ride through our Guesthouse. Please note: Saga Travel tours, buggy rides, and horseback rides are best arranged beforehand through Land, Sea, Sky Travel. We do not charge an additional fee to book for you. 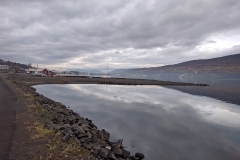 Additional exploration in Akureyri is not covered in trip costs. 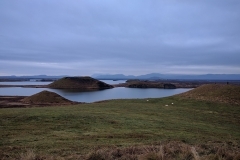 Lake Mývatn is a unique and exceptionally beautiful part of Iceland. We will be driving around the lake with opportunities for photo stops. 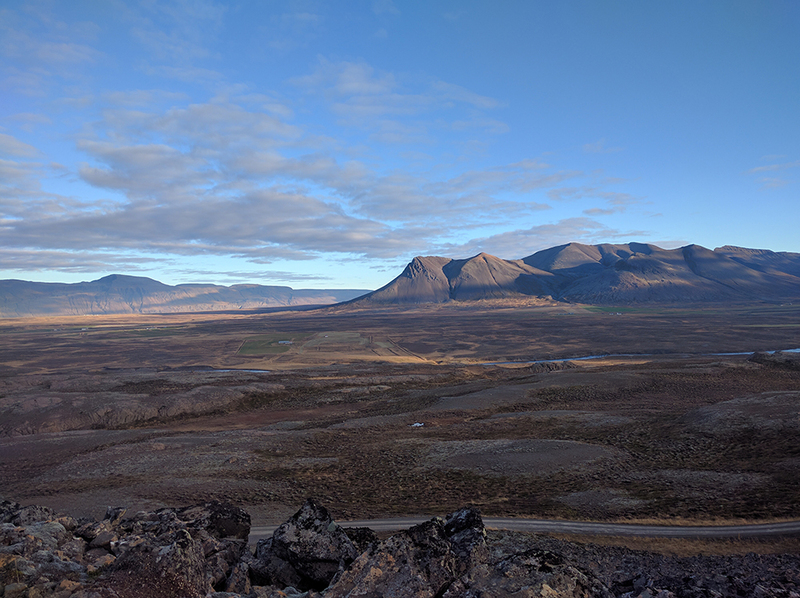 Much of the Game of Thrones series has been filmed in this part of Iceland, and many key scenes are filmed at places we will be visiting. 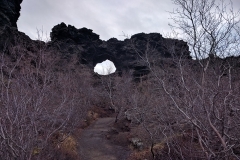 During our time in Lake Mývatn, there will be a hike or free time to explore the Dimmuborgir Troll Park. 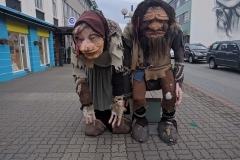 The Troll Park is home to the Icelandic Yule Lads and otherworldly geological features, unknown anywhere else in the world. 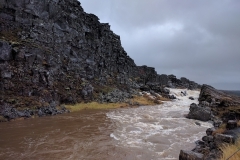 We will make a short stop at Grjótagjá Cave to visit a cave associated with outlaws in the Icelandic sagas. We will visit a beautiful underground hot pool. 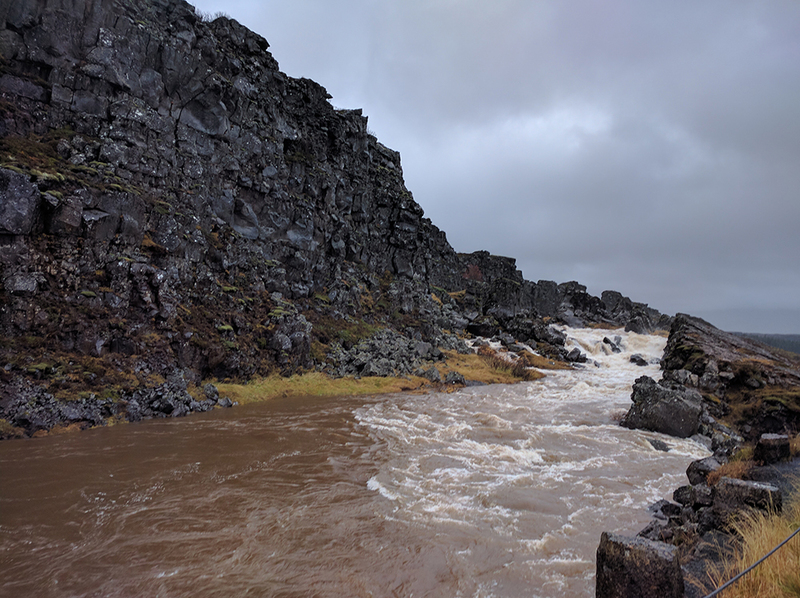 Above ground is an opportunity to see where the Eurasian and North American tectonic plates meet. We will be spending a leisurely afternoon at the Mývatn Nature Baths. This award winning bath and steam house is stunningly beautiful. It offers water straight from the mountain, hot from the geothermal activity in the area, collected into two relaxing pools overlooking the Mývatn area. We are sure this will be a favorite of our guests, and we look forward to sharing it with you. 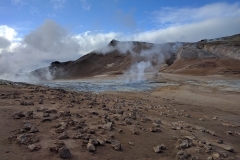 The Krafla Caldera, or Víti Maar, is a collapsed, active volcano, located the edge of the Eurasian and American tectonic plates. 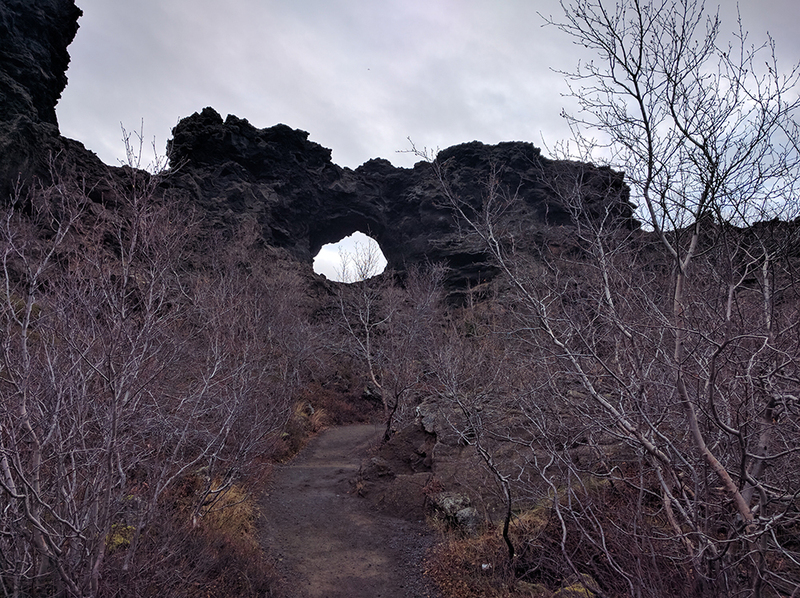 Until recently, lava could be viewed easily from the surrounding area, and this was believed to be the literal entrance to Hell. Now, it’s a lovely turquoise lake that we can hike around and hold ritual on Her slopes. We will be stopping and doing ritual work at Goðafoss, The Waterfall of The Gods. Set on the river Skjálfandafljót, this waterfall is 30 meters wide with a 12 meter drop, and is one of the wider waterfalls in Iceland. In Ari Þorgilsson‘s Íslendingabók, we find a story concerning the aftermath of Iceland’s conversion to Christianity at Þingvellir, in which Lawspeaker Þorgeir Ljósvetningagoði came back to his home and threw all of his statues of the pagan Gods into Goðafoss. 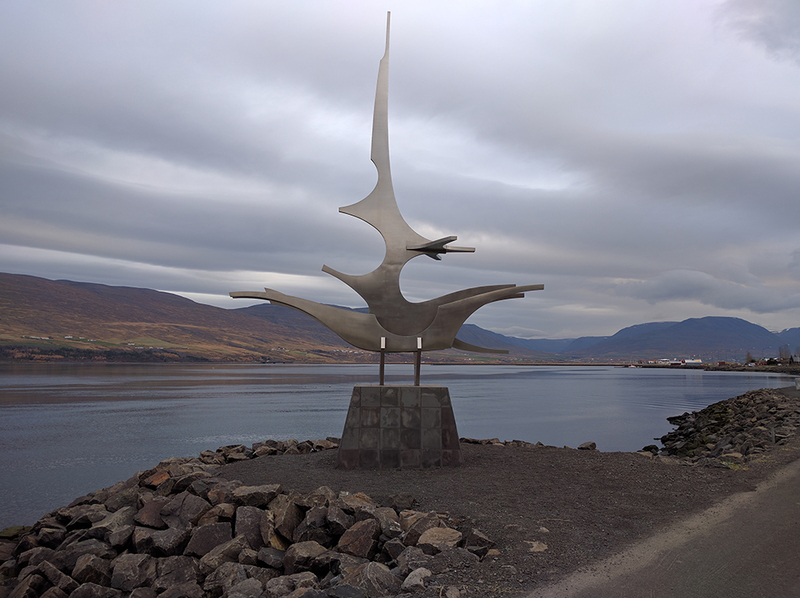 We will have an opportunity to explore the historic town of Húsavík, the first settlement in Iceland, followed by a three hour whale tour. The whale tour will go through Skjálfandi Bay to spot up to twenty kinds of whales, including minke whales, blue whales, and humpback whales, plus many varieties of dolphins and other sealife. All safety equipment will be provided. 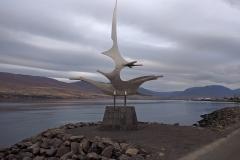 Guests who do not wish to attend the whale tour may continue to visit and explore Húsavík. Please note: Whales do what whales want, and we cannot guarantee a whale sighting. Whale tours can only depart in safe weather conditions, and these tours can be canceled or delayed up until departure time. We will work closely with our tour provider to ensure we have a good chance of attending this event, but if we can not safely attend, we will provide alternative activities based on group feedback. 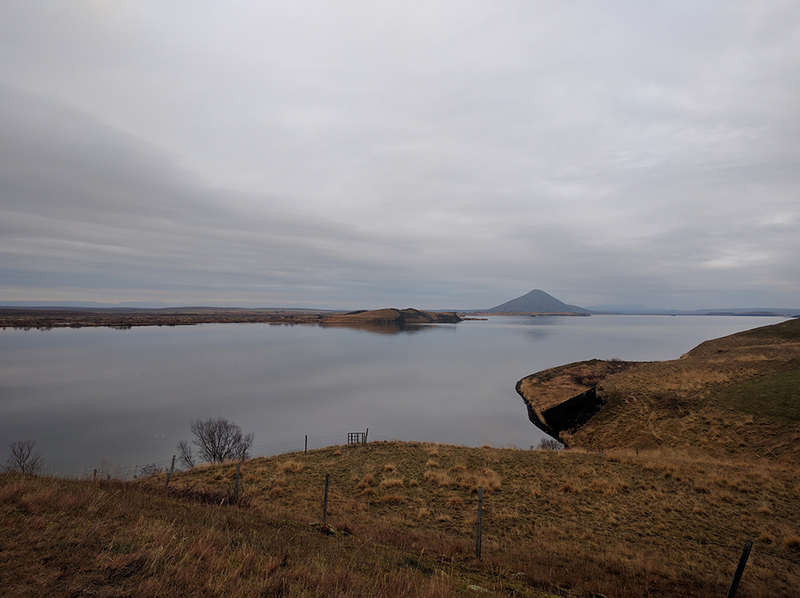 Borgarvirki is a natural phenomenon of a volcanic plug surrounded by columnar basalt stack and a bit a mystery as to it’s practical purposes. There are clear signs of occupation during Iceland’s history, but the claims range from livestock holding to a Viking stronghold or fortress. What we do know is that it is unlike any other place we have traveled to. It offers breathtaking views of the Vatnsnes Peninsula, which we believe you will enjoy. We will hold our closing ceremony at this unique site. There are several free slots in our time schedule, and we will be adding in additional activities, classes, and rituals as our time draws closer, so please check back often. Along the way, we be holding a mix of classes, workings, and rituals at our accommodations, on our private coach, and at the sites themselves. Topics we will touch on include seership, sacred fiber arts, Icelandic Sagas, plus the history and current culture of Iceland and her people. We will be staying at two fantastic guesthouses during our time in Iceland. 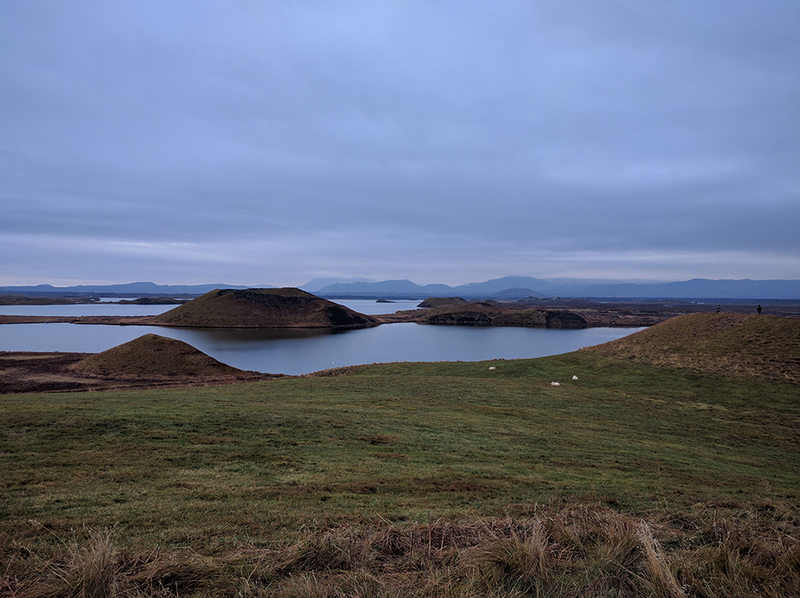 We start our stay for two nights at the Fire and Frost Guesthouse in Hveragerði. We fell in love with this guesthouse as soon as we parked in the front yard, which has it’s very own geysir you can cook your breakfast eggs in. This beautifully decorated, well thought-out guesthouse offers guests an outdoor heated pool, several hot tubs, and a warm river with hot spots in the backyard, all to view the Northern Lights from. It also offers a meditative quiet room with foot baths. Guests will have the opportunity to have drinks and dinner at award winning Restaurant Varma in the hotel, or in the nearby town of Hveragerði. 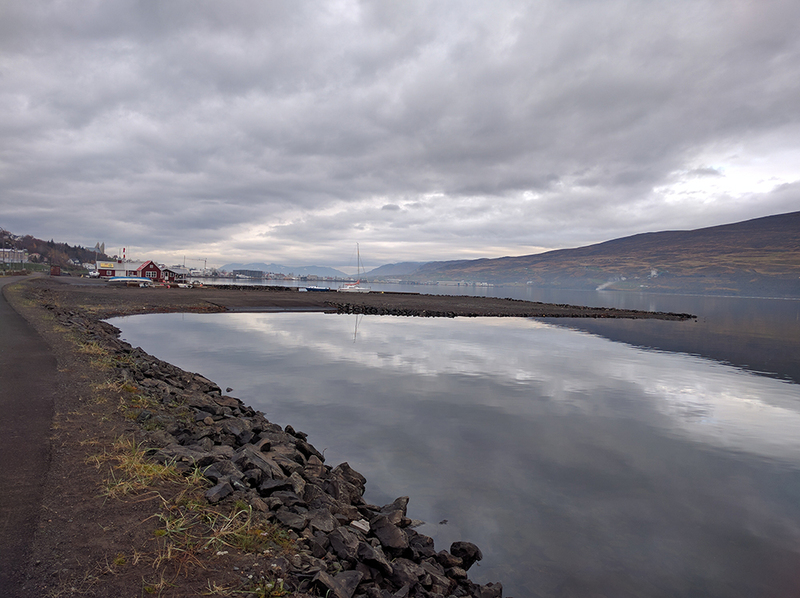 Our remaining nights are spent right outside of Akureyri town center, at Guesthouse Skjaldarvik. 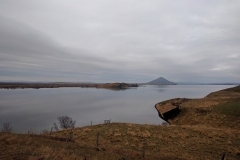 Skjaldarvik is one of our favorite guesthouses anywhere in the world. The attention to detail, community, and hospitality is outstanding, starting as soon as you walk into the door. You can put a pin in a giant world map of where you are from, or write hello in your own language on their welcome board. The grounds offer a horse barn, miles of beautiful landscape to walk through, an excellent chance to view the Northern Lights, including wake up service if the lights begin after hours. 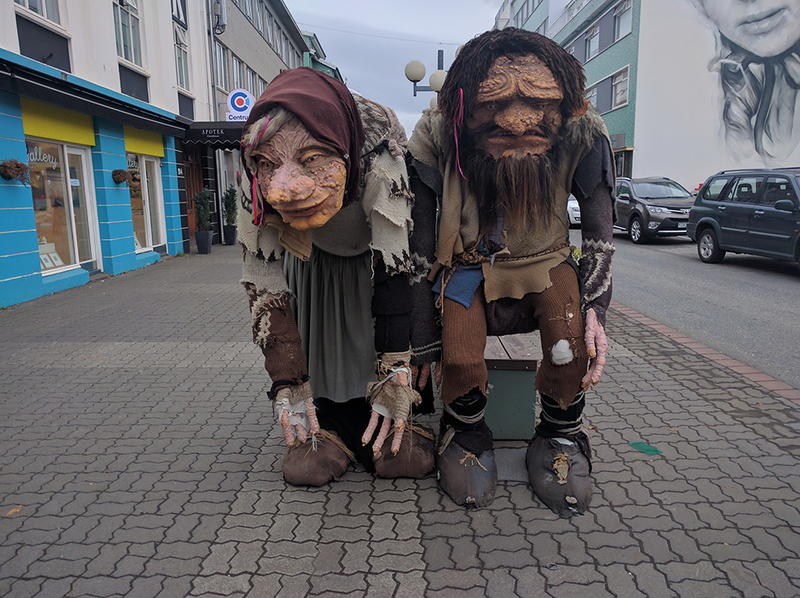 They offer a hot tub, library, sitting room, telescope, coffee shop, bar, and restaurant, along with interactive community art projects, and one of the best handcrafted fiber arts gift shops in Iceland. We will be eating one community dinner here at the award winning restaurant, with opportunities to eat here other nights as well. All accommodations are shared unless a private room is booked for the cost of $400. Single rooms are limited, so please inquire as to availability. Please direct all questions and requests about accommodation to Vyviane (vyviane@landseaskytravel.com) and not the accommodations themselves.